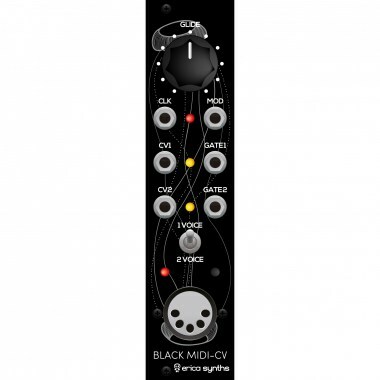 Erica Synths Black MIDI-CV is a compact, highly accurate and easy to use duophonic MIDI interface. Eurorack модули Erica Synths Black MIDI-CV V2 Вы можете купить по выгодной цене в наших музыкальных магазинах в Москве и Санкт-Петербурге, интернет-магазин, доставка по России. 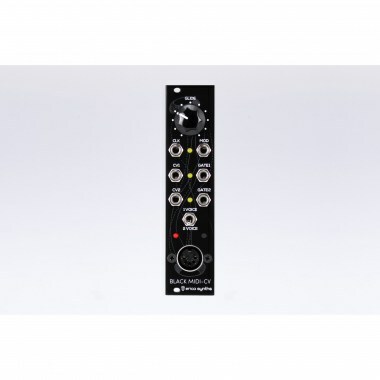 This module emulates classic monophonic and duophonic synth behaviour, it can also be configured for use in two independent MIDI channels. Bonus features ﾖ MIDI clock output and analogue glide circuit on both channels.